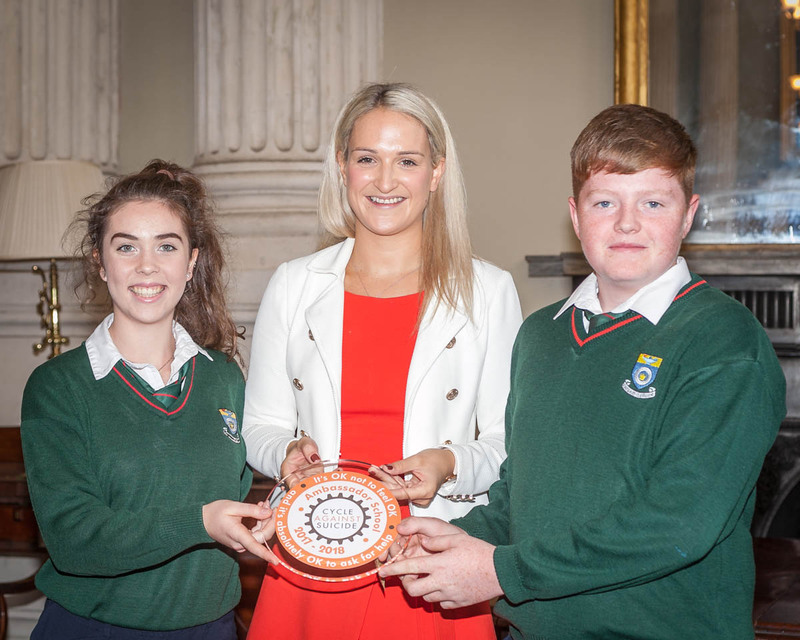 At the special reception, Cashel Community School was awarded the prestigious status of Ambassador School by Cycle Against Suicide in recognition of their fulfilment of the Five Gears, and their exceptional commitment to the promotion of positive mental health. CCS was represented at the event by Link Teachers Ms. Ann-Marie Ryan and Ms. Nicola Gilmore and students Aoife Linehan and Jack Currivan, who understandably are very proud of their achievements. “The Ambassador Schools’ Awards ceremony was a great day. It’s wonderful to attend such a positive event, and have the efforts of the students recognised. 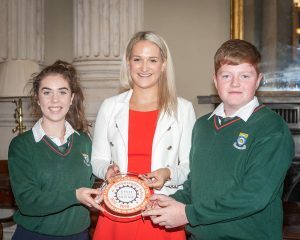 Our participation in the Ambassador Schools’ Programme has had an enormously positive impact on our school community, fostered a school-wide approach to the promotion of positive mental health, and provided incredible opportunities for student leadership” said Ms. Ryan speaking at the event. Minister of State for European Affairs Helen McEntee, Dr. Harry Barry author and mental health expert and Adam Weaver actor and musician presented the awards to students on what was a very positive enjoyable day for all involved.